The Team at Business Gateway are delighted to share the details for the next Women into Business event which is now open for you to book your place. If you have not been along before, these events give you a fantastic opportunity each month to hear from a female business owner who has 'been there and done it' sharing her business journey with you. You can also dip your toe into some light networking with women from Aberdeen City and the Shire who are either thinking of starting a business or have started one. This all takes place in an informal and friendly environment. We welcome you to bring along a friend or business contact as the event is free to attend and open to all. The Team hope you can make it to either the April or May event and please remember that there is a wide variety of Business Gateway workshops to support you through every part of starting and running a business, our Digital Boost workshops - helping you with websites and social media etc, are such an amazing free resource for you and your business plans. Check out these workshops atwww.bgateway.com/events. This event, taking place at Elevator's Centre for Entrepreneurship in Bridge of Don and welcomes Yva Yorston, Founder and Director of Content Boost. Yva was born and raised in Aberdeenshire and lives with her high school sweetheart, Ben, in Westhill. 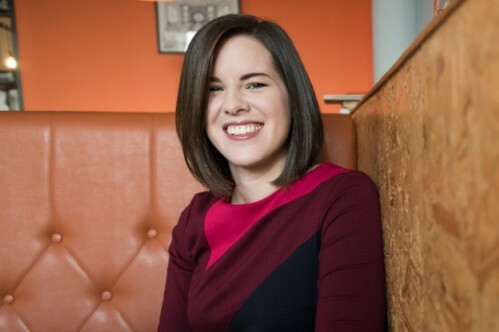 She was shortlisted for the Grampian Awards for Business Excellence, the Princes Trust: Youth Business Scotland Awards and the Elevator Awards, and was named in Aberdeen’s 40 Under 40.